The Emir of Kano is the fourth most powerful religious leader in Nigeria ruling the Kingdom of Kano which has been in existence for over 1000 years. The former Governor of the Central Bank of Nigeria, Muhammed Sanusi II, 56, was crowned in 2014, taking over the traditional role as a religious leader but also as an advisor to politicians, government employees, village chiefs and even settles disputes between individuals. 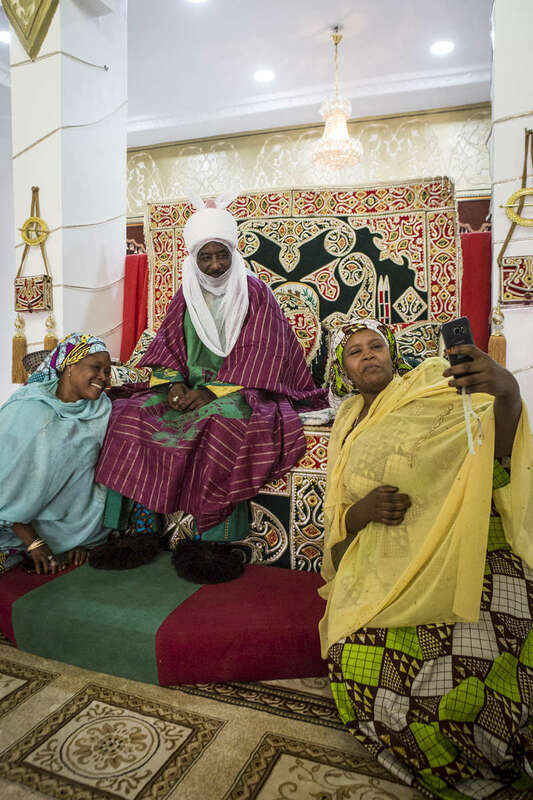 Seen as a modern leader, Sanusi II has been a champion for girls education, women rights, job creation, development as well as the re-industrializing Kano State. But, as his methods of communication became just as advanced by using Facebook and Twitter via his aides, coupled with his radical thoughts on modern islam, many felt that he was being influenced by the west and a backlash began. Since then, the Emir has reduced/eliminated his involvement in social media as well as softened his approach with the conservative scholars.